The Call of the Wild are the most famous werewolf rockers in the supernatural world – but that might be about to change, seeing as their fans are turning up dead. When the bodies of two young superfans are discovered, all evidence points to the Call of the Wild. Wanda hopes that the rockers aren’t the real killers – especially since her best friend has a thing for their singer. The first in a new series is out today. I hope you guys enjoy it. Book Two will be released mid-late May. 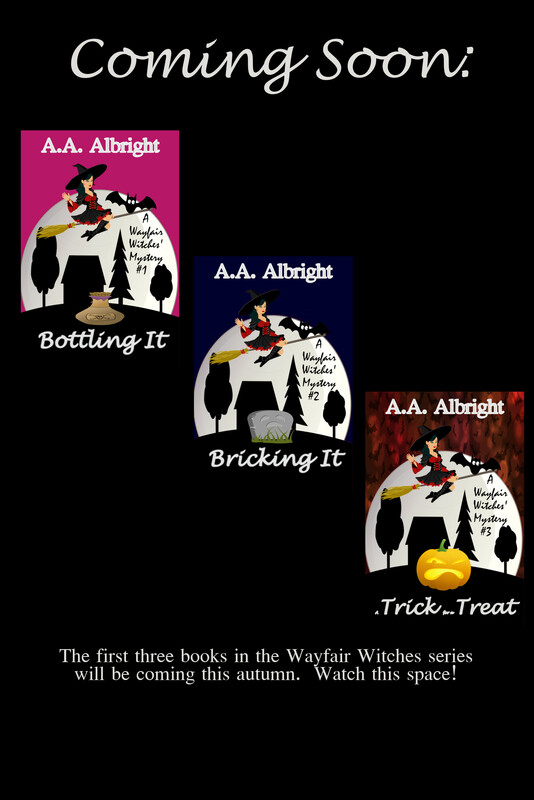 Oh, and in case you’re wondering about those lovely Wayfair Witches, fear not – they’ll be returning in another adventure next month. There has most definitely not been a murder on the Riddler’s Express. Aisling Smith is about to try out for a new job – a job writing for a paper she’s never heard of. But seeing as she’s currently writing classified ads and obituaries, it would be foolish not to give it a shot. Riddler’s Edge might be a small town, but it’s definitely not boring. The train hasn’t even pulled into the station, and already a woman has been murdered. According to the grumpy but gorgeous Detective Quinn, the passenger’s death wasn’t a murder at all. He insists that Bathsheba Brookes died of a nut allergy. Aisling doesn’t believe it for a minute. She intends to discover the real story – a difficult challenge, considering the town’s inhabitants seem to be keeping some very big secrets. Riddler’s Edge is a town where people wear sunglasses after dark, and creatures howl in the woods. It’s also a town where, despite the strange occurrences, Aisling feels right at home. As always, the book is available to buy or download from Amazon, and free to those in Kindle Unlimited. Seeing as it’s almost Valentine’s Day, I’ve got a proper Loved Up release for you guys. 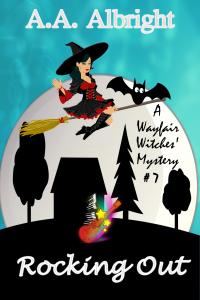 The sixth book in the Wayfair Witches series is here! 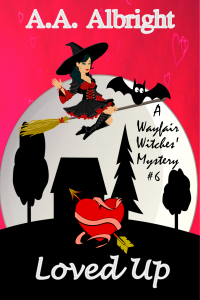 For the Wayfair Witches, the romantic season is beginning. Unfortunately, it’s beginning with a murder. When Nancy Berry is killed during spring celebrations, the reason seems clear to her coven leader. Will Berry believes that Nancy was killed as a threat, to force him to vote the right way in an upcoming election. But Wanda thinks there’s a far more fiendish reason for Nancy’s murder. She suspects Nancy was killed by the mysterious assassins known as the Dark Team. Could there be a love potion at work? 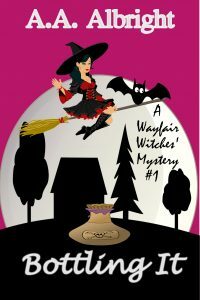 Wrapping Up, the fifth book in the Wayfair Witches series, is now available at Amazon. 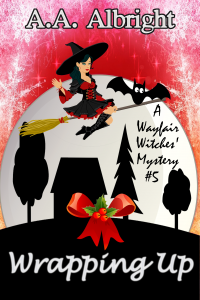 It’s the most wonderful time of the year – or at least it would be, if one of the most popular witches in Riddler’s Cove hadn’t just been murdered. When Winnie Wywood is found, strangled by festive ribbon and wrapped up like a present, there are two main suspects. Suspect number one is the father of Wanda’s boyfriend, which might make the holiday period ever so slightly awkward. Suspect number two is a woman who seems all too keen to admit to the murder. 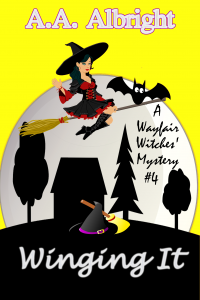 Winging It, the fourth book in the Wayfair Witches series, has just been unleashed. When three unlikely friends kill themselves in a popular weredog bar, Wanda Wayfair is convinced that there’s more to the story. With the coven’s work now in the hands of the Minister’s Peacemakers, an investigation would be ill-advised. But since when do witches listen to advice? All of the deaths have something in common – every one of the deceased worked in Plimpton’s Brooms. 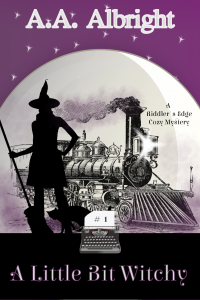 With the Everest Climb – the biggest broom race in the witching world – about to take place, Wanda hopes to find the answers there. Especially since Everest is also the place where an annoying young witch was last seen in public. And while she’s at it, she might finally find out what her broom has to do with it all. It’s Wanda’s first Halloween at home for years, but that doesn’t mean she gets to enjoy the holiday. A famous werewolf has disappeared, and his girlfriends are getting knocked off one by one. 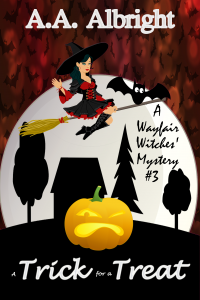 Murder and mayhem might be all in a day’s work for the Wayfair coven, but this time the stakes are higher than ever. This time, Wanda’s own friends are under suspicion. Wanda needs to discover the real culprit, and she needs to do it fast – otherwise the people she cares about could spend their lives behind bars. Oh, and while she’s at it, she also needs to pass another few of the Minister’s tests. But who ever said that being a witch was easy? Wanda Wayfair is a bit of a late starter. At almost twenty-one she still hasn’t received her magical powers, and she’s running out of time. But that doesn’t bother Wanda. Much. Not when she can spend all of her time in the human world and pretend that her coven doesn’t exist. But when Wanda takes a job at Berrys’ Bottlers, working with the handsome Will Berry and his unpleasant Aunt Alice, she soon realises that she’s a lot closer to the magical world than she thought. All over Dublin, humans are murdering witches. When asked why, all they’ll say is, ‘I dunno why I done it.’ But Wanda thinks she does know why they’ve done it – and hopefully she’ll receive her power in time to help her coven discover the truth. All her life, Wanda thought that things would be better once she received her magical powers. Turns out, not so much. The Minister for Magical Law is insisting that Wanda go back to school before she can become a working member of the Wayfair coven. Oh, and she’s also insisting that Wanda perform no magic at all until she’s passed all of her tests. But Wanda’s coven needs her now more than ever. Witches are going missing, and skeletons are turning up in closets and changing rooms all over Ireland. Will Wanda stick to the Minister’s rules, or will she risk it all to help the people she loves?